Selecto Coffee is a colombian based company, headquartered in Manizales, a city located in the heart of the coffee growing region. 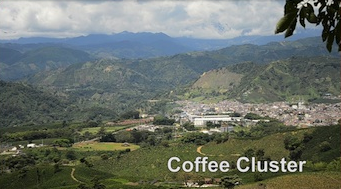 The company was established in 2005 since then Selecto coffee has been dedicated to trade and export Colombian coffee. Selecto Coffee also has experience offering customized coffee products for many international clients including green, soluble, roasted, regular and decaffeinated, bulk and packed. Selecto Coffee also offers coffee from other regions different from Colombia depending on the needs and objectives of our clients. Kilometro 14 vía al Magdalena Centro Logístico Tesorito, Bodega 1.